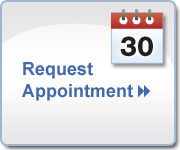 Whenever we see a new client or a current client for a new service, we ask that prior to your visit you complete the appropriate form ahead of your appointment so our providers are able to review your specific needs and situation and are prepared for your appointment when you arrive. Please use our convenient forms below or if you would rather fill them out by hand, come by Jinsei Spa to pick your forms up, or you can arrive 20 minutes early for your appointment to fill out the forms right before. If you have any questions or concerns please email us at info@jinseispa.com or give us a call at 541-383-8282.